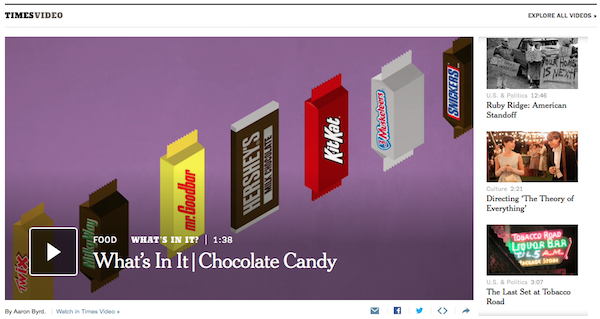 The New York Times is going big with the video player that is incorporated into nytimes.com homepage. The player now takes up almost the entire page — the Times has quadrupled its size — making it impossible to miss. Visitors can can access additional videos using a left and right navigation tab. The Times’ full video offerings are available via a click on “explore all videos” or going directly to nytimes.com/video. The Times is clearly trying to get people to focus on its video offerings. This is certainly one way to do it.